Jo Malone Geranium and Walnut Body Scrub: Does It Work? What Is Jo Malone Geranium and Walnut Body Scrub? Unwind. Refresh your spirits and allow your body some time out to heal. Rejuvenate your senses as you splurge your skin to a fitting treat, only with Jo Malone Geranium and Walnut Body Scrub. Every 200 grams of this delightful indulgence will cost you $55 – a lot more expensive than most other scrubs, and yet, once you’ve tried it out, the luxurious bath is unlike any scrub you have ever lathered onto your skin ever before. Your skin needs support getting revitalized and renewed every once in a while. Just as exfoliation does great things to your face, so does a good scrubbing bring forth healthier, softer, smoother skin on your body. Jo Malone Geranium and Walnut Body Scrub smells so great that you will almost always mistake it for a yummy treat – come to think of it, well, it is, for your skin! The product has been well blended with the unmistakable fragrance of Geranium undertones that will definitely wakeup your sleepy head, and the warm and soft keynotes of Walnut which calms and relaxes your mind and spirit. Thick and creamy, Jo Malone Geranium and Walnut Body Scrub is gentle enough on your skin yet tough enough at the same time at sloughing off skin impurities, including dead and damaged skin. Jo Malone London was originally founded in 1994 as a fragrance company by the British perfumer, Joanne Lesley Malone. Owing to the company’s success, the Jo Malone we know today has a robust product menu that goes beyond selling fragrances but also products in the bath and body, and home categories. Barely five years after the company was launched, Jo Malone was sold out to Estee Lauder in 1999. However, most of the formulas from this brand are unproven and there are reports that many of them are actually ineffective. Jo Malone Geranium and Walnut Body Scrub – Does it Really Work? As per manufacturer claims, Jo Malone Geranium and Walnut Body Scrub contain miniature beads of walnut and walnut shells which gives this product the ability to eliminate flaked, damaged skin. 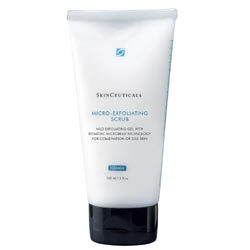 As old skin is scrubbed off, the microcirculation improves as the product is massaged into skin. What it does is that this improvement ensures that skin is better nourished and that skin cells are stimulated to produce newer, younger skin. 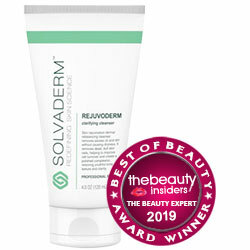 When this skin surfaces, your skin becomes lighter, brighter, softer, firmer and smoother. Other than walnut beads, Jo Malone Geranium and Walnut Body Scrub is also formulated with the moisturizing natural properties of Geranium, shea butter, and sunflower seed oil. These ingredients replenish the skin’s natural oils that are naturally lost after a scrub. And, since this complex is made with essential oils, moisturization easily penetrates skin and is instantly available to be assimilated and used by the skin to support repair, rejuvenation and regeneration. What Are The Ingredients In Jo Malone Geranium and Walnut Body Scrub? Sunflower Seed Extract: Often used as cooking oil and as a cosmetic ingredient, this oil is similar to sunflower oil. It is rich in linoleic acid, which can help improve skin texture. Cetearyl Alcohol: Fatty alcohols that keeps water and oil components from separating in product formulas. Increases the viscosity of products. But it also may cause burning, stinging, redness, irritation, unusual changes in the skin, and signs of skin infection. Butylene Glycol: It is used in literally thousands of skin care and personal care products. One of the reasons for such wide adoption is that this chemical is relatively cheap, and because it has such a wide variety of effects on the skin. For example, it’s commonly formulated into moisturizers, acne creams. Scrub once up to twice weekly depending on your skin type. Apply Jo Malone Geranium and Walnut Body Scrub and massage gently on skin after a quick cleansing shower. Eliminates tired, dead and damaged skin cells to stimulate the surfacing of newer, younger looking skin. Rejuvenates the skin and senses. Leaves skin softer, smoother and more vibrant but contains potential skin irritant. This product is not yet widely available in stores. Does Jo Malone Geranium and Walnut Body Scrub Have Any Side-Effects? With an incomplete, undisclosed product ingredients list, it’s hard to say for certain whether or not this product’s formulation deserves a red flag. 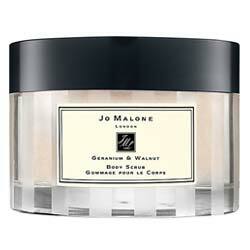 Jo Malone Geranium and Walnut Body Scrub — do more than just treat your body. Give yourself, your mind and your spirit a much needed retreat to with this product. As per manufacturer claims the product may rejuvenate the skin and senses but there are potential skin irritating ingredient in this formulation. Also the product come with a hefty price tag for a simple formula. There are other more effective product available in the market. So continue your research to find the perfect product for you.